The leaders of Sudan, Egypt and Ethiopia agreed on Sunday to “overcome any obstacles” encountered during the technical negotiations over the Renaissance Dam. In the meeting held on the sidelines of the 32nd African Union summit in Addis Ababa, Egyptian President Abdul Fattah al-Sisi, Sudanese President Omar al-Bashir and Ethiopian Prime Minister Abiy Ahmed stressed that they seek to provide high-level political support to the talks on the Grand Ethiopian Renaissance Dam (GERD). Egyptian presidential spokesman Bassam Radi said that Sisi stressed the importance of adopting a balanced and cooperative vision for filling and operating the dam to achieve the interests of the three countries. He pointed out that the three leaders underscored the urgency of developing a unified view on the dam on the basis of the declaration of principles signed in Khartoum. Egypt, Sudan and Ethiopia have been negotiating for seven years over the dam to avoid damaging Egypt’s share of the Nile River, estimated at 55.5 billion cubic meters. 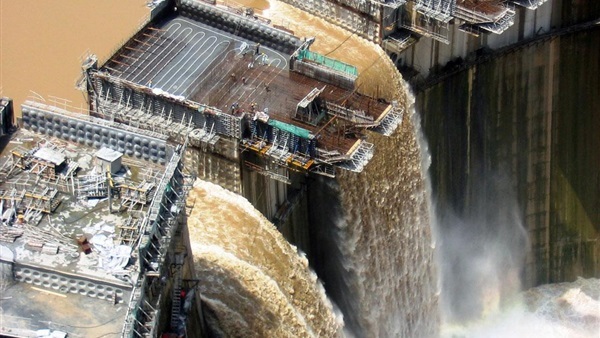 The three states reached an agreement in September 2016 with two French companies to carry out necessary technical studies to determine the social, environmental and economic consequences resulting from building the dam. However, no final results were reached and negotiations are still ongoing.